Philips finally signs joint venture TV deal with TPV | What Hi-Fi? After lengthy negotiations, mounting losses at its TV division and hints that the deal might not come off at all, Philips has finally signed a joint-venture agreement with Hong Kong-based TV maker TPV technology. Under the terms of the deal, TPV has a 70% stake in the venture and Philips 30%. The Dutch company will effectively give up control of TV manufacturing, while TPV will manage the operation and licence the Philips brand name to use on the TVs it manufactures, using Philips technology. 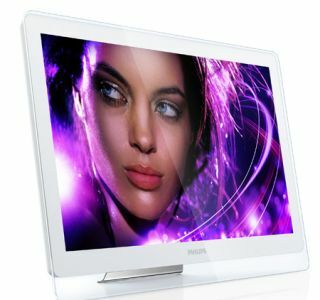 Philips's TV research and manufacturing sites, headquarters and employees will be transferred to the new joint venture. It will be headed in the UK and Ireland by MD Graham Speake, who was sales and marketing director of sound and vision at Philips before moving to the same role at accessories brand Belkin. Philips chief executive Frans van Houten called the deal important for Philips and TPV. “This joint venture leverages the strengths of both companies to improve the position of Philips Television in the market. It enables Philips to focus on expanding market leadership positions across our Healthcare, Consumer Lifestyle and Lighting sectors,” he said. The joint-venture company is expected to start working on products in 2012, based on research and development already underway at Philips. Philips is not the only manufacturer to have faced problems recently with its TV division. Sony and Panasonic have had to restructure their TV businesses as the global demand for flatscreen TVs shrank during the recession, and prices have dropped, eroding profit margins.